Schools of blue-striped grunts and Schoolmaster snappers at the Queen marine reserve. Copyright David Doubilet. 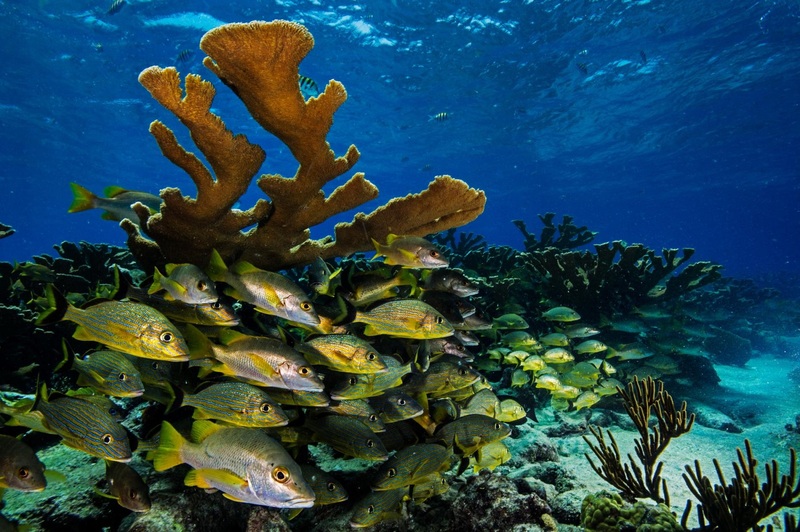 Gardens of the Queen Marine Reserve — Jardines de la reina — Cuba’s 850-square-mile reserve of mangroves and coral reefs — has been called “a liquid time capsule” for the extraordinary beauty and diversity of the fish and marine life. It hasn’t been diminished by time or climate change. Renowned National Geographic underwater photographer David Doubilet and his partner Jennifer Hayes traveled there and present this natural wonder online and in the magazine. Doubilet has been taking pictures since he was eight years old! One of his more famous encounters was being bitten through the leg by a feisty hippopotamus while on assignment in Africa. 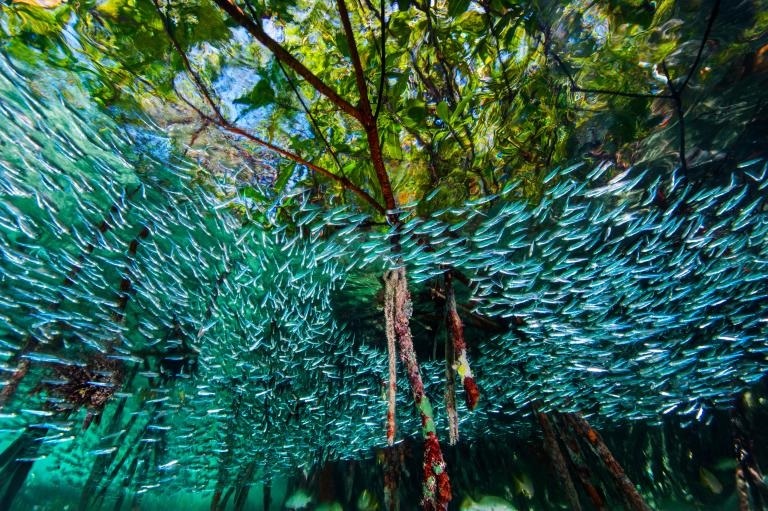 Silversides in a mangrove forest at the Queen Marine Reserve. Copyright David Doubilet.